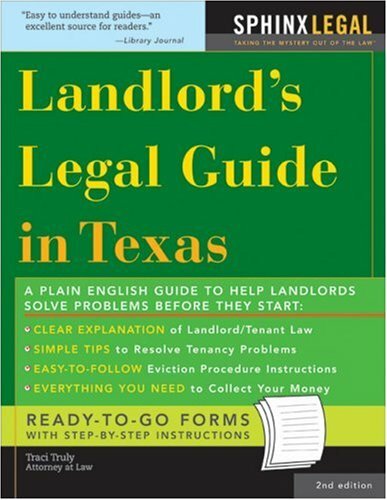 "Landlord's Legal Guide in Texas is a practical, well-organized manual designed to provide landlords with valuable legal information. This new edition updates and expands already existing material and adds new material focusing on evictions, tenant responsibilities, Armed Forces Members and much, much more." in the Fortress series. His work features in exhibitions and publications throughout the world.Adam Hook lives in East Sussex, UK.Traci Truly received her JD from Baylor University, and has practiced family law for more than ten years. In addition to various lawyer organizations, she is a member of the Texas Coalition for Juvenile Justice and the American Professional Society for Abused Children. Ms. Truly currently resides in Dallas, Texas.